So, maybe it didn't actually turn out to be a weekly article like I had previously stated, but I am back once again with another Why I Love (and I promise to try and make this a more regular article)! This time, I'm going to show you some of my favorite moments from Galaxy Quest. For those of you unfamiliar with this movie (and I know this is a large number from personal experience), it is mainly a spoof of Star Trek. 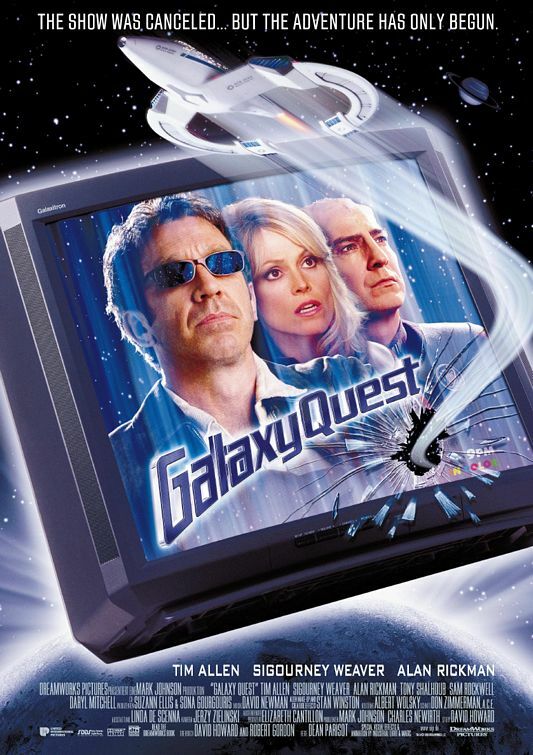 The movie is about a group of actors who starred in a much loved sci-fi tv show called Galaxy Quest, and they now make their living doing appearances at conventions and grand openings and whatnot. 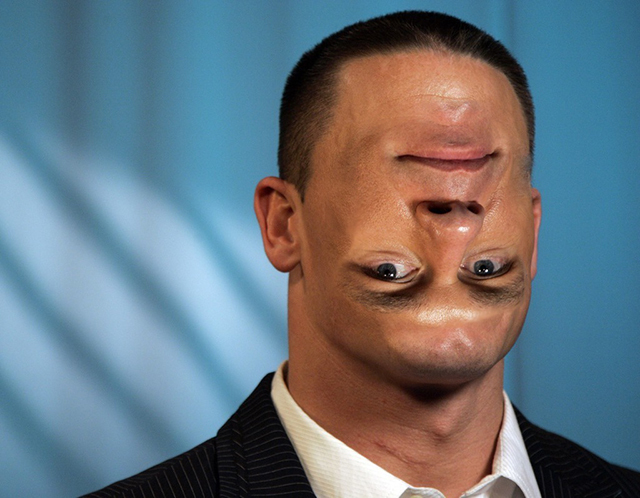 Some aliens have seen the broadcasts, and thinking them to be accurate historical accounts, come to them for help. 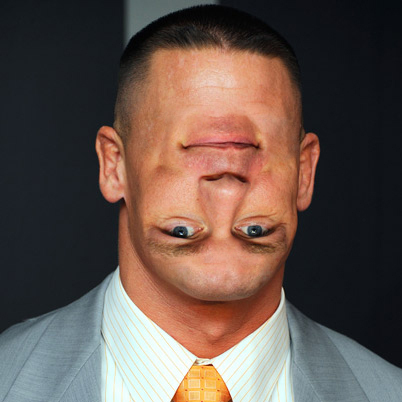 Hilarity ensues. The following are my top moments from the film, in no particular order. I know there have been mentions around the internet about how much of a hassle it is to order things from goHastings.com. Unfortunately, I didn't know about this before I had placed an order with them through Amazon. 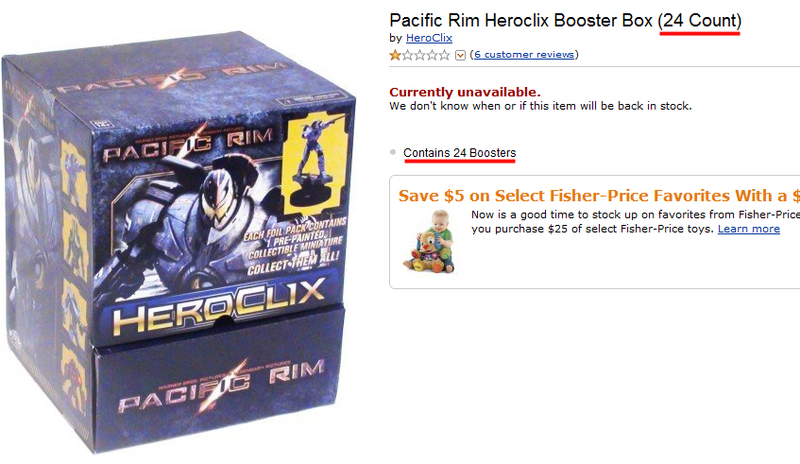 On Wednesday evening, a listing for some HeroClix Pacific Rim figures popped up on Amazon. It was for a full display box with twenty-four blind packed figures. And the price was crazy: $2.99. However, the description said three times that it was indeed for a twenty-four pack. I figured, if it was an error, the worst that could happen would be the order being cancelled. The next morning, the order was updated to Shipping Now. I was beginning to get excited about the deal, but I was still waiting for that cancellation email. The email never came, but my order did. Part of it, at least. Yes, the wait is finally over! 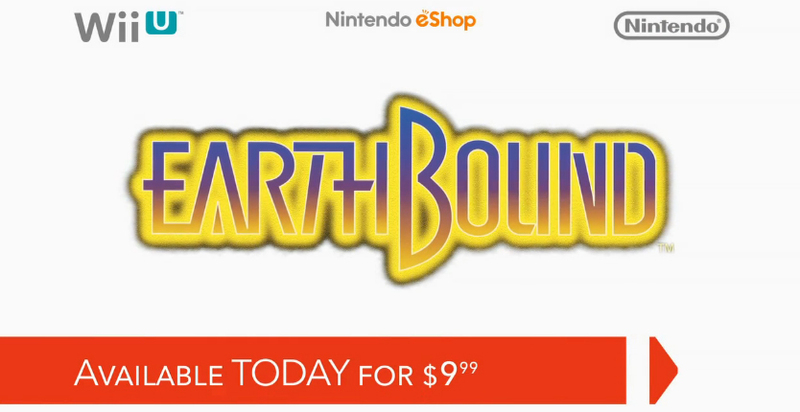 That was the best part of information to come out of today's Nintendo Direct Mini. People are already complaining about the price, but they need to be realistic here. They could always go drop over one hundred dollars on the SNES cart. I think compared to that, $10 is a steal. That wasn't the only news we heard in the video, however, because we also found out exactly how the 3DS Street Pass "relay system" is going to work. There was also some more information on Pikmin 3, Ducktales Remastered, and more. Hit the jump to watch the video. 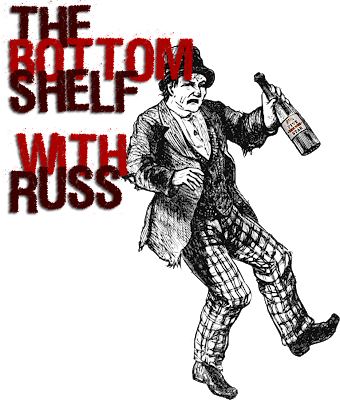 Welcome back to our regular readers (all four of you), and welcome to our first time visitors to The Bottom Shelf with Russ! Reviewing bottom shelf whiskey is not that difficult of a task but there are some problems I did not anticipate. I am finding that most of the whiskeys are about the same, and find new vocabulary to keep it fresh and not redundant while describing them is a challenge. It is amazing that what is produced in a Canadian still behind an outhouse and the results from an American bathtub still have Twilight Zone-esque eerie similarities. Is there a common denominator? What would it be? Let's put that behind us for now, and explore G&W Five Star Whiskey. One of the best shows on TV in recent years is Adult Swim's Metalocalypse. It is a very over the top, brutal, and vulgar cartoon about Dethklok, the greatest fictional metal band of all time. The show itself will apparently come to a close with this fall's hour-long rock opera movie Metalocalypse: The Doom Star Requiem, but the band's music and antics will live on forever. To celebrate the possible end of one of my most beloved shows, here is a list, in no particular order, of my favorite episodes. While wandering through Target on Friday (and buying way more crap than we needed), I stumbled across a cookie mix and can of frosting that I decided I couldn't live without. And now you see why! Cotton Candy cookie mix and frosting. I've always been a sucker for cotton candy flavored stuff, so buying this was a no-brainer. I only had two questions about the whole thing: Would I be able to make these without burning them, and would they taste as good as I was imagining them? Happy Independence Day to all my fellow citizens of the United States of America! Tonight, we took the kids out to our local fireworks, and sitting outdoors while watching the group of dudebros shoot bottle rockets into the crowd and the group of idiots next to us dropping f-bombs after every other word turned out to be worth it, because the display was outstanding. Nothing says freedom quite like explosions. If you were one of the poor souls who didn't get to go out and watch those fireballs of joy, or if your local fireworks aren't until sometime this weekend, I have five videos of tonight's display. You can even watch them if you aren't celebrating your nation's independence, because that's how I roll. Meet Our Mascot: Itchy the Crab Louse! I've been trying to come up with an acceptable mascot for Peanut Butter And Awesome since, well, since the site launched. Almost a full year later, I finally found one! 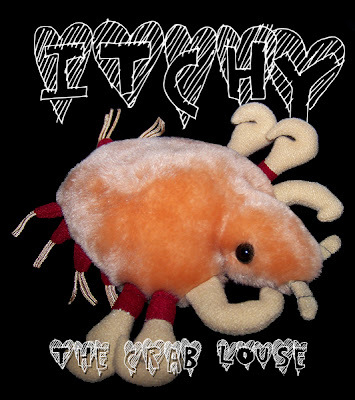 Itchy the Crab Louse is the newest member of the family here at PB&A, and something tells me she might be sticking around for a while. Itchy is clawing at the chance to help me with some of my stories, and I've promised her that she could the next time I review something. I hope she likes Pop-Tarts.